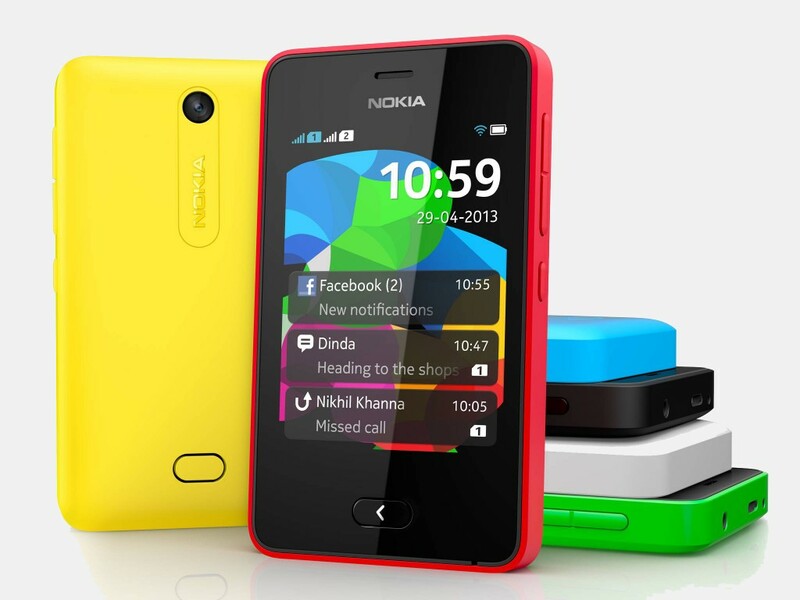 Home » Technology » Can The Nokia Asha Succeed As An On-Ramp To Windows Phone? Can The Nokia Asha Succeed As An On-Ramp To Windows Phone? Finally, the deed is done. After a few months of will-they or won’t-they, Microsoft has bought the devices and services division of Nokia. Now they have the hardware infrastructure and experienced personnel to make their own devices, and have them run on Microsoft Windows platform. As part of the deal, Microsoft has also bought the Lumia and Asha brands. The Lumia is Nokia’s line of Windows Phones, so the software giant would want it. Asha isn’t a smartphone. It has some of the features of a smartphone, but uses older, slower technology and doesn’t give its users any great choice of apps! According to the company, they want to use this low-end series as an on-ramp to the higher-end Windows Phone smartphones. The Asha series has been a great success for Nokia, especially in developing countries like India. They’re feature phones that serve the low-end phone market. If you do a quick Google search for Nokia Asha 501 price in India, you’ll know what we mean by serving the low-end phone market. And it offers so many features despite the low cost! But how does Nokia’s Asha series help Microsoft? Microsoft’s main target for Windows Phone devices would ideally be the mid to high-end consumers who buy smartphones. So, why do they need Asha? The fact is Microsoft intends to use the Asha line of phones as an on-ramp for the Windows Phone devices. That is, they want to leverage the brand recognition and popularity of Nokia and Nokia Asha models to gain entry into key growth markets like India. The Asha models feature a lower-end OS and aren’t exactly smartphones. But they have several features of a smartphone. Some Asha models have large touchscreens, like in the high-end smartphones. The Asha users have access to an app portal, which has apps that integrate social networking access into the model’s main features. All these provide users with a smartphone-like experience at a much lower price. Eventually, these users might upgrade to full smartphones. Perhaps, Microsoft will slowly introduce some features in the Asha series that will integrate Microsoft’s identity with the brand. This can help customers get acquainted with the new brand, and those who upgrade to smartphones would likely be drawn towards Windows devices. There is no clear-cut precedent for this strategy. Generally, vendors do use the popularity of their older models to introduce new ones. Nokia’s Asha has helped Nokia gain recognition among buyers. Their previous feature phone models had also brought them plenty of loyal customers. These phones helped build their brand identity, which in turn helped them market their higher-end phones. But a software giant buying hardware infrastructure and making a success of it has a dubious precedent. Infact,a similar acquisition in recent times hasn’t really worked out well. Remember Google’s acquisition of Motorola? Motorola had previously gained a lot of market share with its Razr line of phones. But, a year after the acquisition, Google hasn’t introduced a significant model that integrates the Motorola and Google brands as yet. The Moto X model that was released after Motorola became a part of Google hasn’t made a big impact on the market. The case in Microsoft’s case is different though. The Moto X model didn’t enjoy the popularity that Asha line of phones enjoyed in India and other developing markets. Asha represents a hope, its English translation, for those people who still cannot afford to tap into the raving smartphone market and buy a cool and feature-rich smartphone. The idea of retaining the Nokia Asha brand might just turn out to be a brilliant strategy. It will give the Redmond company a decent foothold over the phone market, which has been a difficult affair so far.The Asha series helped Nokia acquire 35% share of the lower-end phone segment despite their losses in the smartphone market. So, the Asha is a great brand that might stand as a beacon of hope for Microsoft and its Windows mobile strategy. It might help Microsoft familiarize consumers with its new brand of phones and entice them towards Windows Phones.